QUALITY AFTERMARKET COMPONENTS LOWER COST-PER-KILOMETRE. 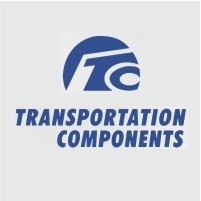 Transportation Components has a proud record of 20 years of service to the heavy commercial transportation sector. Our principal business is the sale of original equipment manufacturers’ (OEM) parts to service the aftermarket sector, which caters for vehicles out of warranty. As such, we have positioned ourselves as a supplier of quality products which effectively lower the cost-per-kilometre of operating a heavy-duty transportation fleet. This offers our valued customers significant savings. In addition, as many vehicles are fitted with our OEM components during manufacture, Transportation Components has become the preferred aftermarket supplier of these ‘gold standard’ products in South Africa. The reason that Transportation Components is able to offer original parts at competitive prices is that we effectively shorten the supply chain between the OEMs and the end-user. In the mainstream parts supply chain, there are a number of separate businesses involved. With Transportation Components, the difference is that the company can supply directly from premier international OEMs such as Borg Warner, and Duroline, thereby avoiding intermediary costs, while still retaining all the original warranties and excellent after-sales support. As we are the representative and ‘face’ of our OEMs to the local aftermarket sector, we take responsibility for ensuring our customer’s satisfaction, expediting any warranty claims or issues, and effectively providing customers with the shortest possible route to the OEM.